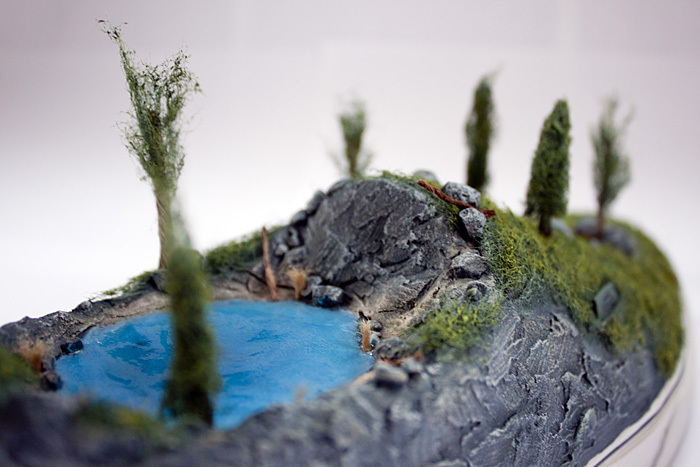 Web development, graphic design, and photography by Ian Houghton, based in Revelstoke, BC. 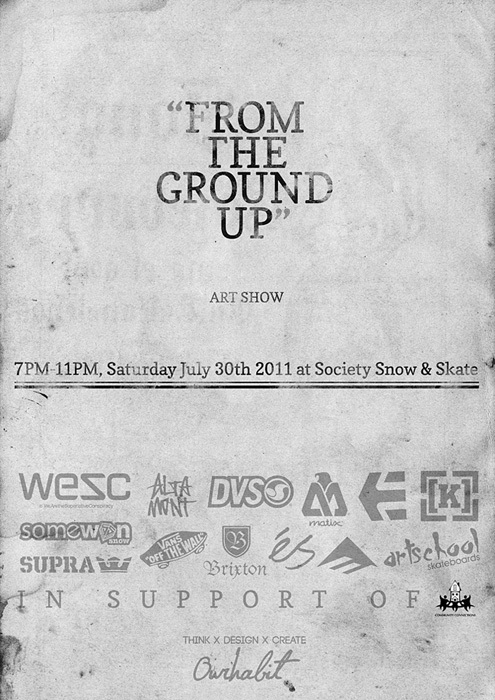 I participated in an art show in Revelstoke recently called “From the Ground Up”, conceived by Joey Norsworthy from OurHabit and held at Society Snow & Skate on Mackenzie Avenue. It was a great experience and very encouraging of the growing youth art scene in Revelstoke. 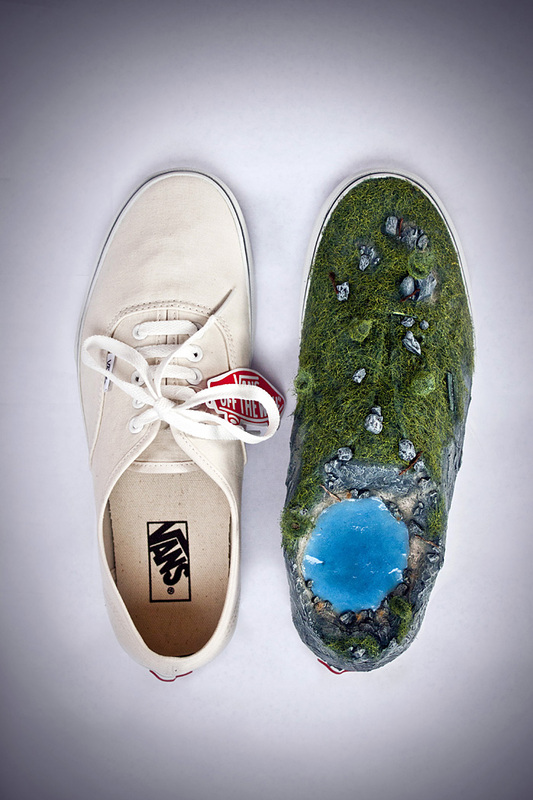 I worked on a Vans shoe for the show; materials used were polyfilla, acrylic paint, wire, pebbles, sponge scourers, rope ends and acrylic varnish. You can see the photos of my piece below and check out more photos of “From the Ground Up” on Facebook. I also produced the poster for the show. 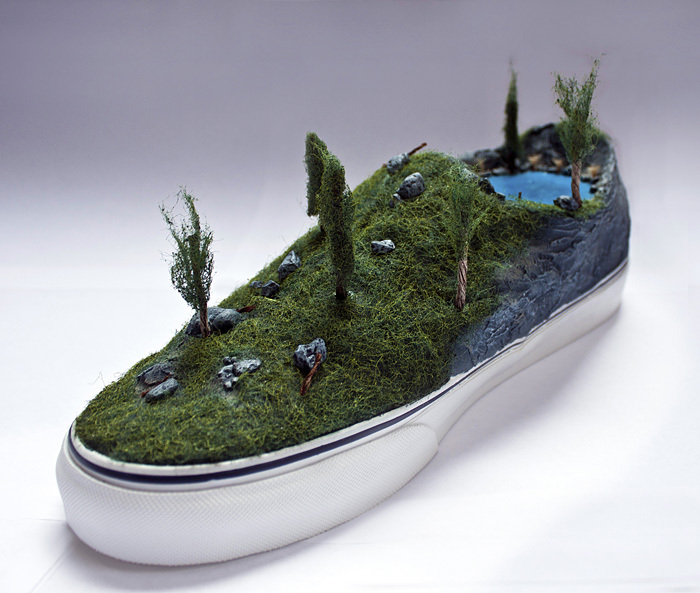 hi these are really nice and i would like to know if i could use one of your images as part of my thesis. 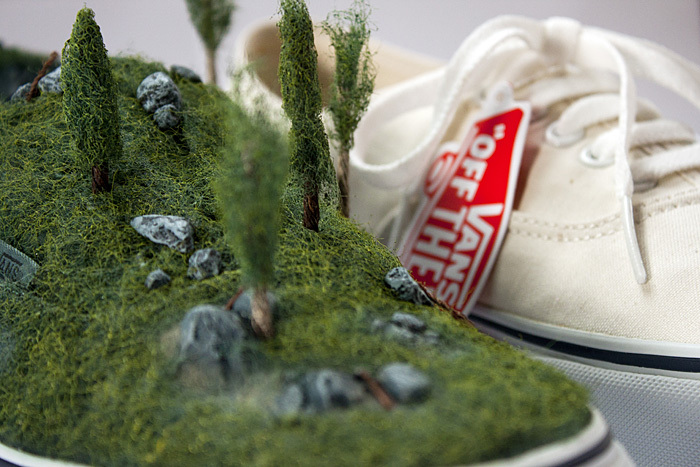 it’s about eco-friendly sneakers and one requirement is to produce a poster. i think your design is suitable for the ad poster i am doing. hope to hear from you soon. thanks! © ankhou creative 2019. All rights reserved.